My kid’s LOVE the Halloween store this time of year, all the spooky and scary thrills them. We made a batch of 5 scary cakes for Halloween that have all the spook without the gore and blood. Instead we opted for pink candies, covered cookies and the best frightful cake recipes to surprise your Halloween crew. Spiders, Graves, Fingers, and Fangs, these are just a few of the scary little things. These easy to do scary cakes are the perfect addition to your spooky Halloween soiree. Grab a bakery cake and top with these treats, or create your own sweet baked cake. 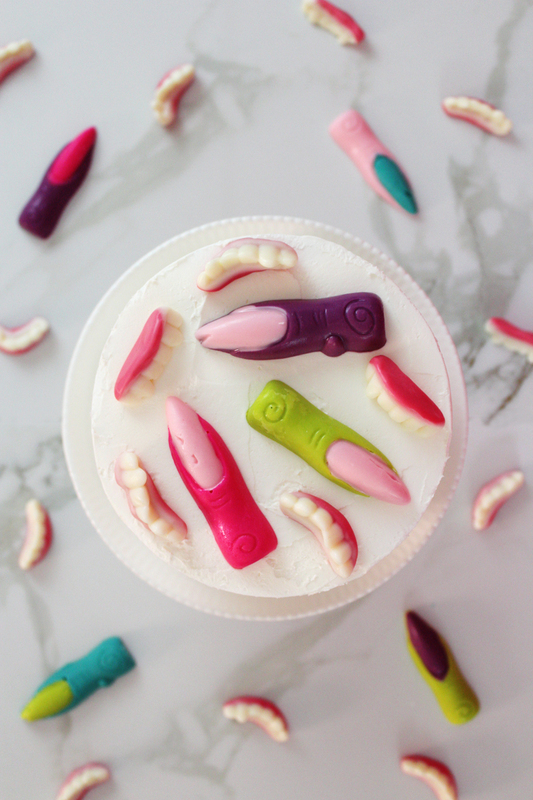 With a few colored candies and a few creepy molds, these little cakes will surely keep you on your toes. 1. Prepare your cake with your favorite icing. 2. 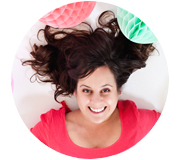 Color your fondant with fun and bright food coloring. 3. Use a small amount of cornstarch to dust your mold, that way you fondant won’t get stuck in the mold. 4. Then use your mold to create colorful snakes. 5. Apply the snakes to the freshly iced cake. 2. Melt your colored chocolate and pip/pour into the hand mold. 3. Let that freeze before removing from the mold. 4. Apply hand to the freshly iced cake. 2. Use colorful melted chocolate candies to fill spider mold. 3. Let them freeze before removing. 4. Melt your marshmallows slightly. 5. Add black food coloring. 6. Use your hands to pull apart the marshmallow to create a spider web like look across your cake. 7. Then apply your chocolate spider candies to your freshly iced cake. 2. Find your favorite Halloween themed candy, such as our finger and fangs. 3. Then apply your candy to your freshly iced cake. 2. 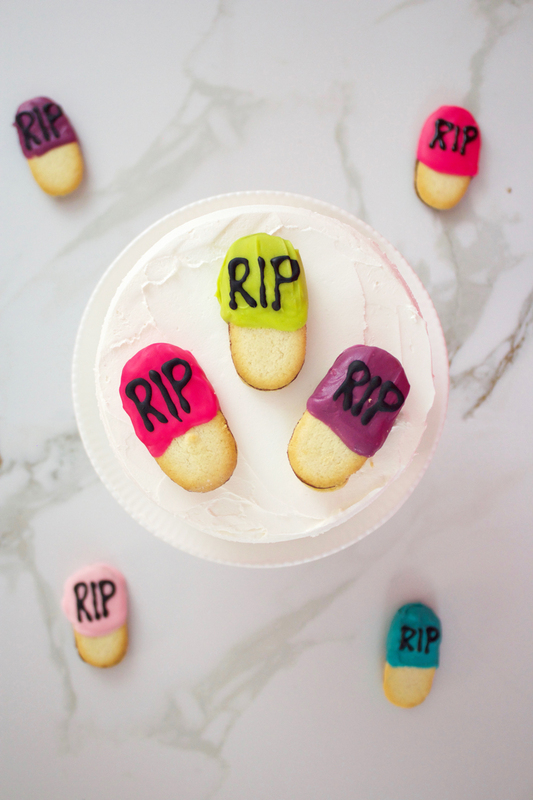 Melt colorful candies to cover your grave shaped cookies. 3. Dip your cookies into the colored chocolate, and let them freeze. 4. Use black melted chocolate in a piping bag and pipe out RIP onto candy covered cookie. 5. Then apply your cookies to your freshly iced cake. Anyway you decorate these scary cakes, one thing is for sure… Halloween just got a whole lot more frightful and colorful at the same time. Those bright sweets are so cute! I’m in love with the snake cake and madeleines. I’ll try! These all scary cakes are look beautiful. You shared very fascinating information. 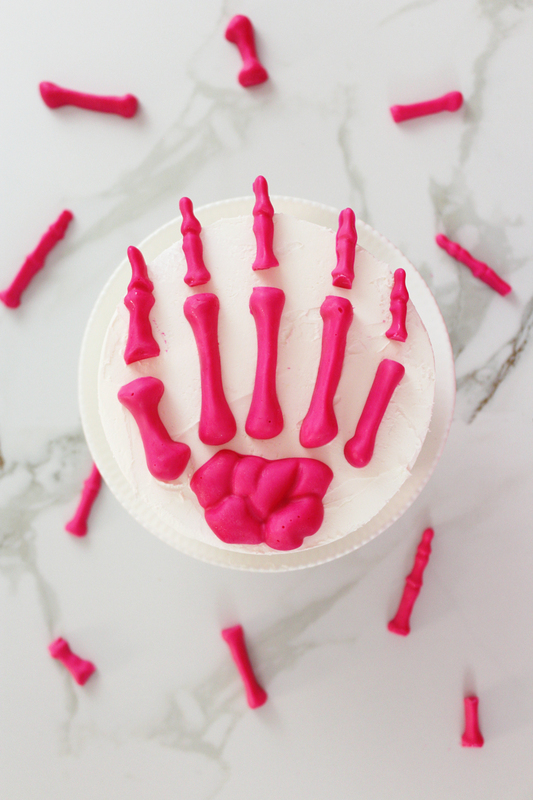 I like skeleton hand cake and I will try make this cake. Thanks for sharing this information.